Who will be chosen to follow in Cap's footsteps? Since the earliest days of World War II, Captain America has relentlessly fought tyrants at home and abroad. He has redefined fearlessness, courage and what it means to struggle for ideals that are uniquely American. But now Captain America lies dying. And in perhaps his greatest mission, he uses his last moments to search for the nobility, sacrifice and heroism of the next generation's Captain America. Dramatizing combat-torn Afghanistan, Rambo creator David Morrell (First Blood) tells the story of one of the world's greatest war heroes and the modern world he seeks to inspire. 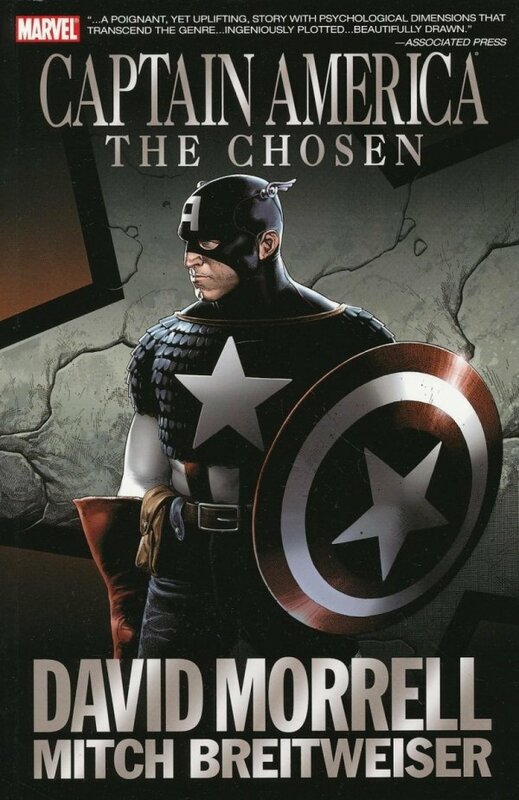 With emotionally resonant art from the versatile Mitch Breitweiser, Captain America: The Chosen serves as a scintillating new entry into the canon of modern Cap epics.